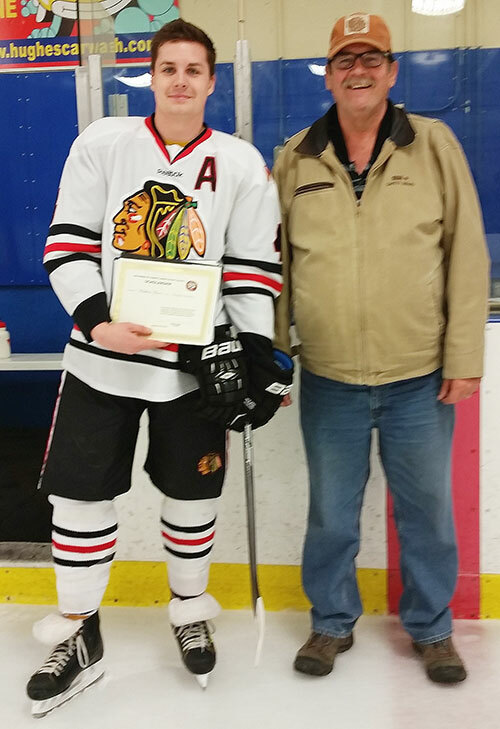 Mathew Bara of the Beverly Warriors receives his 2015 scholarship from Friends of AJH Society Executive Bill Roberts. Grayson Sopowich and Zachary Lang!! !